The Government’s review of post-18 education and funding is expected to report shortly. It has been widely speculated that the advisory panel led by Philip Augar could recommend sweeping changes, including a cut to tuition fees. If the Government does not replace the lost income, funding for higher education will be significantly reduced. We are concerned that the progressive elements of the current student finance system will be chipped away and the proposed reforms could make disadvantaged students worse off. While there is still work to do in ensuring young people from all walks of life have equal access to a university education, recent years have seen important progress with a record proportion of young people now entering higher education, including a record proportion from the most disadvantaged backgrounds. 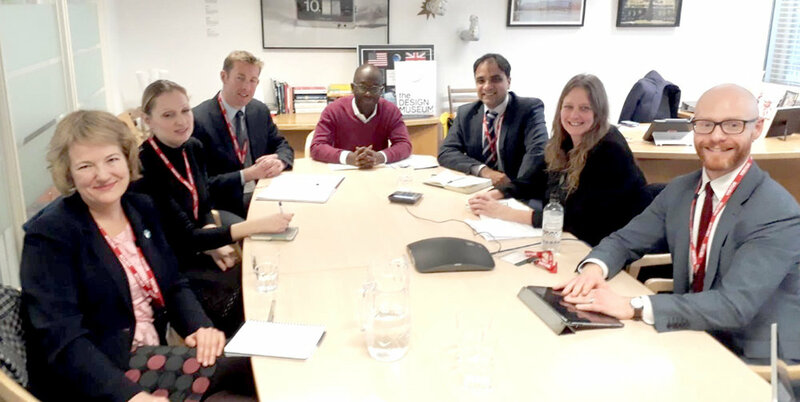 Universities, often working in partnership with third sector organisations, are driving innovative and effective schemes to make UK campuses more inclusive and diverse. We call on Ministers to help ensure recent social mobility gains are not sent into reverse. If tuition fees are reduced and Government does not make up the shortfall, universities will have significantly less funding and will in turn have to reduce student places. This would amount to a de facto cap on student numbers. When student places are restricted, disadvantaged students suffer most. We could face a sharp drop in the money available for vital schemes which encourage underrepresented students to start a degree and support them through their studies. A fee cut primarily benefits graduates who earn more, who will end up contributing less to the cost of their education than they do now. Since higher fees were introduced and student number controls started to be removed, numbers of the most disadvantaged students going to university have increased by almost a third. It is therefore welcome that the Universities Minister, Chris Skidmore, recently confirmed he is “proud to be a member of the Conservative Party that…removed the cap on student numbers”. But while no government is likely to restrict the number of people able to enter higher education directly, reductions in the number of places will be inevitable if fees are cut and the overall money available to universities is reduced. Ministers should go further and explicitly rule out a de facto cap on student numbers. On average, across the country, young people from disadvantaged backgrounds are less likely than their classmates to go to university and do not benefit from the same networks and support when they do. This year, Russell Group universities will direct £265m into programmes to address these gaps, working with charities, schools and communities in every region and nation of the UK. As a whole, the sector will invest £900m. We want this money to be used as effectively as possible and to build up strong evidence to show which interventions works best. But a fee cut to £7,500, for instance, would wipe out much of this spending. If the Treasury cuts fees it should provide an enduring guarantee that the lost income will be made up in full, with meaningful assurances it will rise with demand. Finally, evidence indicates that any deterrent effect of higher fees is outweighed by progressive arrangements for loan repayments. Young people have not been put off from entering higher education in increasing numbers, including those from worse off homes. At present, no fees are paid up front; students only ever repay in line with their earnings; and any outstanding balance is written off after thirty years. The focus should be on providing disadvantaged students with the academic and admissions support they need to get in to university and adequate maintenance when they are there. To help, maintenance grants should be reintroduced for the students who need them most. Russell Group universities and a coalition of third sector social mobility organisations are calling on Ministers to ensure the Government’s review of Post-18 education and funding does not damage efforts to make UK campuses more inclusive and diverse. We urge Ministers to explicitly rule out any de facto cap on student numbers, which would hurt poorer students most. If the Treasury cuts tuition fees it should give an enduring guarantee that the lost income will be made up in full and will rise with demand. To help with the cost of living, maintenance grants should be reintroduced for students who need them most. 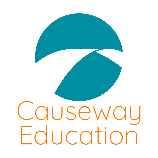 HE Access Network (HEAN) announces that today, 8th January 2017, it’s changing its name to Causeway Education. Founders Michael Englard and Sam Holmes set HEAN up in 2012 because, having worked in university admissions and teaching, they were frustrated that bright state-educated applicants were disadvantaged each year due to poor preparation. Five years on there’s compelling evidence that HEAN’s work has made a measurable difference to the life chances of young people, including well-evidenced programmes developed in conjunction with the Sutton Trust. Causeway Education’s new charitable status will allow it to extend its reach and improve the life chances of many more young people through the key educational transitions in their lives. Julie Randles, Causeway Education’s CEO, said, “we believe it’s important that our work is free for end-users. This is true both for the young people who are expertly mentored through our programmes and for the state schools we support to provide the best possible outcomes for their students. As a charity we will develop partnerships with a broader range of individuals and organisations to enable us to do this. Causeway Education will be guided by its board of trustees, who between them have an extraordinary wealth of expertise in the education and charitable sectors. For more information, please contact Dave Sandford, Director of Communications, at dave.sandford@causeway.education, or 020 3808 5140.